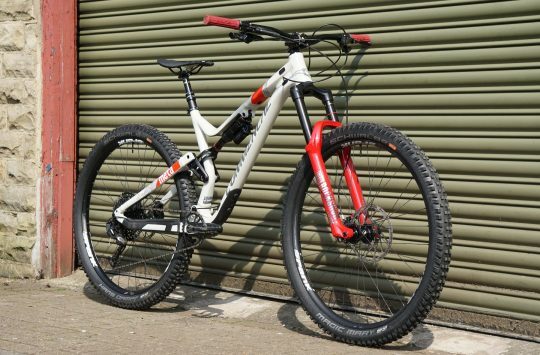 Based out of Whistler B.C, Vorsprung Suspension is a small, specialist mountain bike workshop that focuses on suspension servicing and aftermarket tuning. Founded and operated by an Aussie engineer called Steve (honestly, what Aussie isn’t called ‘Steve’? ), Vorsprung has been expanding beyond your average suspension service centre by designing, testing and producing customised solutions to improve suspension performance in existing forks and shocks. With access to its own shock dyno and direct feedback from pro-level riders including Remy Metaillier and Chris Kovarik, Vorsprung has been amassing more and more suspension data for its suspension tuning business. And given the company’s extensive experience from servicing well-worn forks and rear shocks that have been put through hell and back on Whistler’s world-renowned trails, it’s certainly had a chance to learn a thing or two about what works, and what doesn’t. In addition to custom suspension tuning, Vorsprung has more recently dived into the world of aftermarket suspension upgrades. 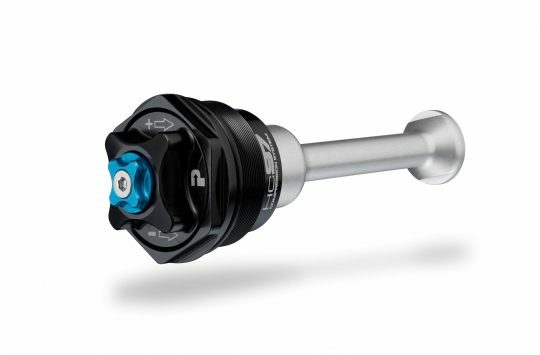 Prior to Fox Racing Shox announcing its new EVOL air can last year, Vorsprung debuted the Corset air can upgrade for existing Fox Float shocks, which expanded the volume of the negative chamber to provide a smoother starting stroke and improved mid-stroke support. 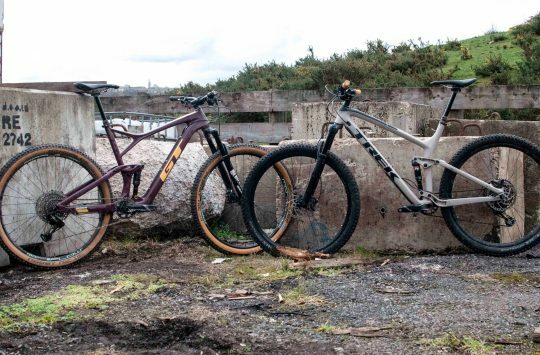 As it turns out, the Fox EVOL air can was designed and engineered to achieve the same goal. Now, Vorsprung has released its newest product called the Luftkappe, which is an aftermarket upgrade for RockShox Pike, Yari and Lyrik forks. The end goal is essentially the same as the Corset rear shock air can; to increase the negative spring volume for a smoother starting stroke. Vorsprung hop-up kit for your existing RockShox Pike, Yari or Lyrik forks to make ’em smoove like butter. 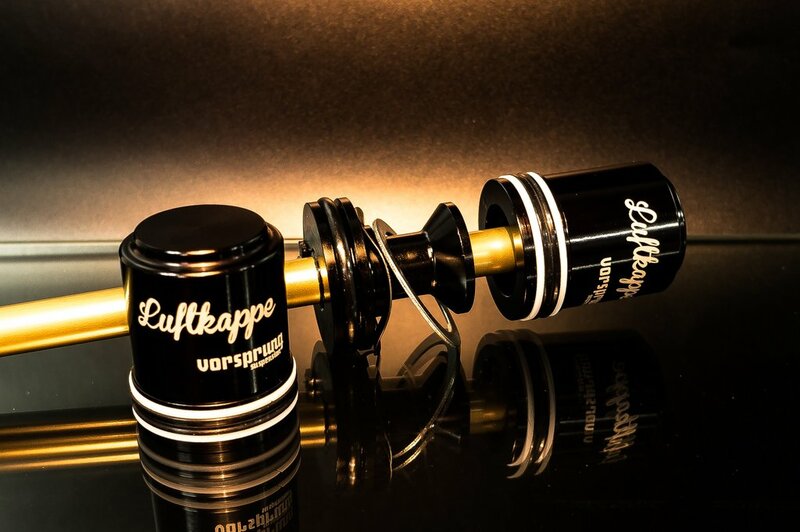 “Introducing the Luftkappe air piston kit for Rockshox Pike, Yari and Lyrik Solo Air forks. 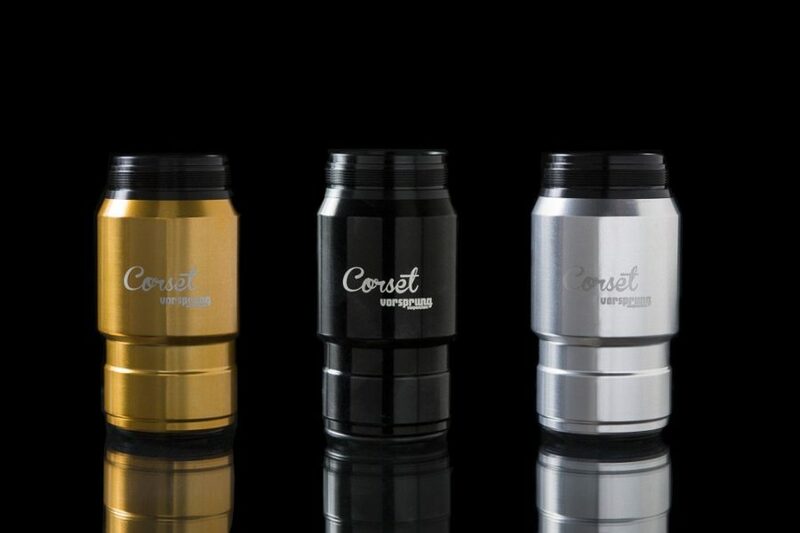 Taking everything we learned with the Corset air sleeves, the Luftkappe is a new air piston assembly for Rockshox’s current generation Solo Air Pike, Yari and Lyrik forks. User installable and simple to set up, the Luftkappe transforms a good fork into a great fork.” – Vorsprung Suspension. Everyone wants smoother shockers right? According to Vorsprung, you’ll still retain your ability to adjust air volume via the RockShox Bottomless Token system. But while the Luftkappe is designed to be installable by any competent home mechanic, you will need a specific 10mm shaft tool *giggle* to perform the job. If you’re in the B.C area, Vorsprung can do the install for you as part of a full custom fork tune, and Vorsprung will ship its products internationally at an additional cost. No word yet on a UK distributor, though we’ll update this article as soon as we have confirmation. 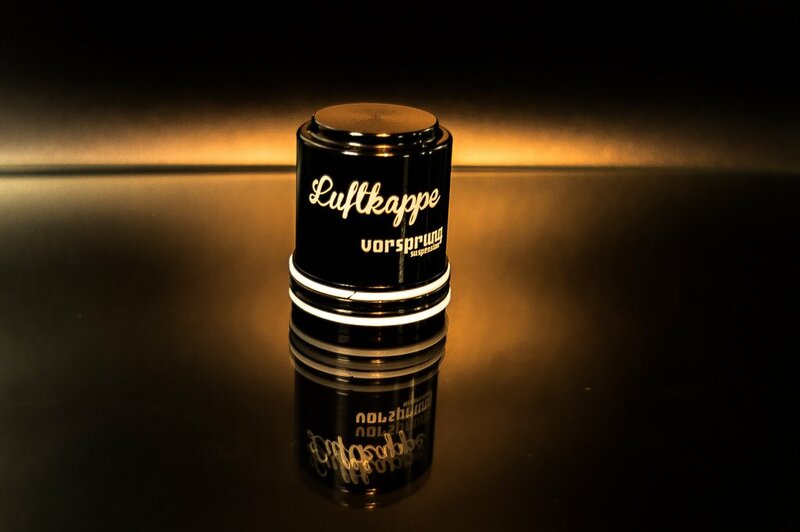 Got any questions about the Luftkappe? Submit them here, and we’ll follow them up with Steve to let you know the answers! Or drill a 10mm hole though a block of hardwood then split it with a fine saw. Clamp it in the vice to use it.